Look no further than the Abbas family fortune, acquired during his tenure as president of the Palestinian Authority nearly 12 years ago. As President Trump is about to make monumental decisions concerning the continuity of aid to the Palestinian Authority, all eyes should be trained on one overriding issue: Graft. One need look no further than the Abbas family fortune, acquired during his tenure as president of the Palestinian Authority nearly 12 years ago. Since then, Abbas' family now monopolizes PA trade, particularly with foreign countries as his children engaged in alleged money-laundering. The fortune was cemented by Abbas' two sons, who unabashedly peddle influence to win major contracts in the "West Bank" or serve as middlemen in foreign deals, particularly with the United States. Ironically, the main threat to Abbas comes from a rival who has also used his senior position in the PA to amass incredible wealth. Mohammed Dahlan spent his years as PA security chief to dominate commercial activity in the Gaza Strip until he fled the Hamas takeover in 2007. Dahlan later moved to the "West Bank" and established centers of influence everywhere from Abu Dhabi to Montenegro. When Abbas and Dahlan traded charges of corruption of embezzlement it provided both Palestinians as well as foreigners with a glimpse of how the PA has worked since its establishment in 1994. Foreign aid, particularly from the European Union and United States, was routinely pocketed by everyone from PA leaders to mid-level civil servants. Transparency and accountability were virtually non-existent. Criticism of PA practices was met with arrest and brutality by security forces in the "West Bank". The result was the creation of a super rich Palestinian elite and a largely underdeveloped "West Bank". The elite built exclusive neighborhoods around Ramallah while leaving thousands of shoddily constructed apartments without services for the rest of the Palestinian Arabs. Western governments looked the other way. To most of these governments, PA corruption was a given and not to be questioned. Both the EU and United States also ignored the PA's crackdown on Palestinian critics and in some cases viewed them as troublemakers. Israel and most neighboring Arab states expect PA corruption to fuel rising and armed unrest throughout the "West Bank" in 2017. The political aspect will include increasing calls for Abbas to resign, an impossibility given his commitment to his entrepreneurial sons who need their father to ensure influence both in the "West Bank" and abroad. Abbas' tenure also serves as a means of wealth for his supporters, whether in the PA or in Fatah. The result is a recipe for disaster for the "West Bank" over the next year. Perhaps.the "West Bank" will become ripe for a Hamas takeover, as the Islamic movement did in 2007. Perhaps the "West Bank" will be divided into cantons, each with its own authority, taxes and militia. This is a threat that supersedes any political feud over Palestinian statehood – the only concern of the international community. The question is whether the West, Arab world and Israel need another failed political entity in the region, one vulnerable to such interlopers as Iran and Islamic State of Iraq and Levant. 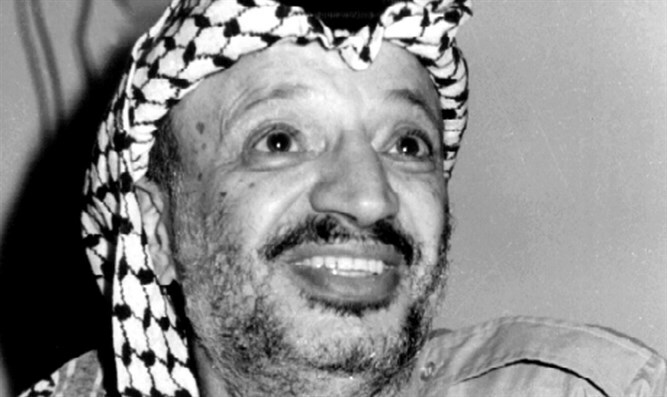 Under Arafat, Abbas portrayed himself as a model of Western-style governance and transparency. That ended as soon as he became PA president. The difference is that instead of directly stealing from the PA, as Arafat had done, Abbas employed his children. Abbas' two sons established a network of businesses that dominated foreign aid and investment in the "West Bank". The economic empire by Abbas' two sons – Tareq and Yasser – has been worth hundreds of millions of dollars and fueled by the president. The empire by Abbas' sons is built around a consortium called Falcon, deemed to have taken over the Palestinian commerce and labor market in the "West Bank". Falcon has ensured its edge over all Palestinian competitors because of the support of the PA president. The consortium has extended into its reach into the most profitable areas of the "West Bank". The PA president has pumped at least $890,000 into the consortium. An example of the empire of Abbas' sons is Falcon Electricity and Mechanical Contracting. This company has branches in the "West Bank" as well as neighboring Jordan and the United Arab Emirates. With so much to protect, Abbas has helped foster an elite loyal to him. He has built palaces and approved the construction of exclusive closed communities for his top supporters around Ramallah, the government center of the "West Bank". One such community is known as the "Diplomatic Compound," which contains dozens of two-story homes and several apartment buildings. To save families from entering nearby Ramallah, Abbas has approved the construction of an exclusive shopping mall. In some cases, Abbas has involved his trusted loyalists in major business deals. One example has been Mohammed Mustafa, deputy prime minister and economy minister in the PA until 2015. Mustafa was appointed head of the Palestinian Investment Fund, directly linked to Abbas and which holds 18 percent of the Arab Palestinian Investment Co., or APIC. APIC, registered in the Virgin Islands and which includes at least one Saudi investor, dominates the Palestinian economy and operates companies in such areas as food, medical supplies, automobiles and shopping malls. The holding company contains 1,500 employees, one of the largest in the "West Bank". Abbas has fought a crusader's battle against corruption when it comes to his rivals. His main target has been Mohammed Dahlan, who often called for Abbas' resignation and commanded support from numerous Arab states, particularly Egypt, Jordan and the United Arab Emirates. On Dec. 14, a PA court sentenced Dahlan in absentia to three years in prison on charges of embezzling $16 million in public funds in 2007. The case was reopened after nearly 18 months and in time for the Seventh Fatah Conference, which Dahlan threatened to turn into a debate over Abbas' political future. Two days earlier, Abbas lifted the immunity of Dahlan and four of his supporters in the PLC – all of whom accused of embezzlement and arms trading. Montenegro valued the senior Dahlan, and in 2010 he and his wife were granted citizenship in recognition of what was described as their friendship. Then-Montenegrin Prime Minister Milo Djukanovic credited Dahlan with building ties with the UAE's royal family. The emergence of a Palestinian elite backed by raw power presents the greatest threat to the cohesiveness of Palestinian society. It allows a chosen few to decide the fate of the great majority, whether through muzzling speech, denying jobs to critics or simply using public funds for personal enrichment of regime figures. With the PA preparing for what could be a bloody succession fight and organized crime and Fatah militias in control of much of the "West Bank", Western donor funds will become a key resource for Abbas and his supporters. 6. Al Masri Al Yom. Sept. 11, 2016. An investigation of Abbas' finances by Hussein Yusef. 8. "The Business of Mahmoud Abbas and His Sons." 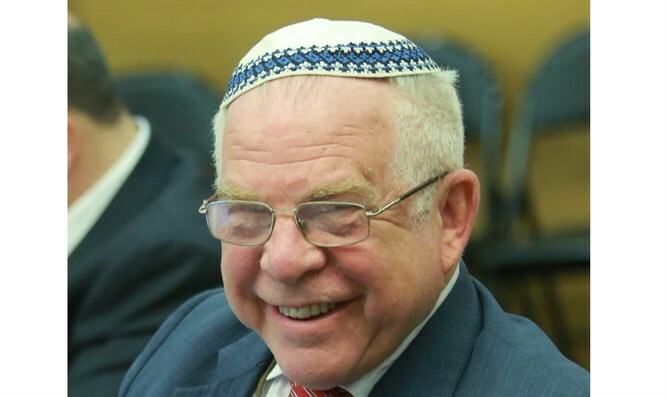 Yoni Ben Menachem. Jerusalem Center for Public Affairs. Sept. 14, 2016. 16. "The Business of Mahmoud Abbas and His Sons." Yoni Ben Menachem. Jerusalem Center for Public Affairs. Sept. 14, 2016. 17. Nader Said poll of Palestinians in the "West Bank" and Gaza Strip. Bir Zeit University. April 2016. The survey found that 82 percent thought the Hamas regime in the Gaza Strip was corrupt.